Foreign entrepreneurs often ask this question. Because of the large market here, they want to start a business in the U.S. And because they want to do so effectively, they usually need a U.S. bank account. I have two recent developments to report. First, Erik Storteboom, a Vice President at Rabobank (referenced below) for 12 years, has started Fidelity Financial Consultancy. His new company helps European businesses open bank accounts in the U.S. and provides other banking-related services. Second, ICICI Bank, headquartered in India, can help businesses in that country open an account in the U.S. via its branch in New York. The easiest approach is to find a home-country bank with an international (including U.S.) presence. For example, I have quite a few Dutch clients. Fortunately, one of the prominent Dutch banks, Rabobank, has a U.S. presence. As a result, Dutch clients with Rabobank accounts find it straightforward to open accounts for their U.S. entities. Unfortunately, from what I have seen, this approach is not available in most countries. Another approach that some of my clients have used is to utilize the services of friends and family. U.S. banks typically want accounts to be opened by people living in the U.S. In many cases, banks require that the individual opening the account live near the branch where the account will be opened. So friends and family – actually, anyone whom an entrepreneur trusts – can be made an officer of the legal entity. Then that entity can authorize the officer to open a bank account. In summary, if you want to help a foreigner open a bank account in the U.S., there may be ways to accomplish that objective. But you likely will need the right combination of circumstances to succeed.. 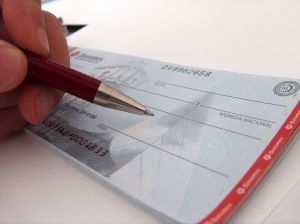 Check out all posts about bank accounts. « May a Minor Form an LLC?